Los Angeles is a huge city, and you can really strive to understand it the first time you go there but if you like complex things you cannot help but love the city of blinding lights. Long beaches, a lot of traffic, luxurious houses, glitz and also a nice little trash masked with chic are Los Angeles’ distinguishing features which not coincidentally is also distinguished by a highly respected food and wine scene. Eating in Los Angeles is very easy , there is no corner of the city where you do not find something to put under your teeth or drink. The size of the city means that deciding against the best restaurants and places to eat is virtually impossible; the only thing possible is to divide the city into zones and types of food to compile lists useful to travelers. Be wary of who talks about “the best places of Los Angeles” because the openings and closures are so sudden and the city so big that defining the best is not possible in any way. Below is a list of places to write down, all tried by me, for all needs. 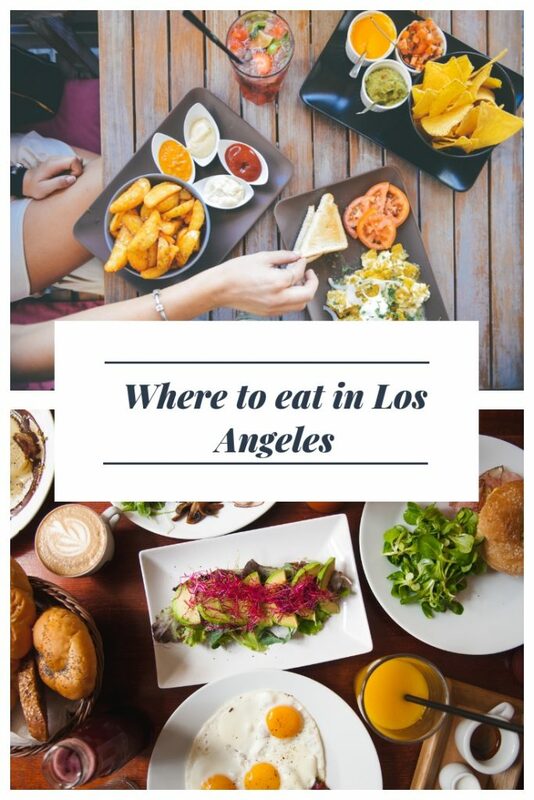 The experience to do if you want to fully enjoy Los Angeles is a lunch or dinner at one of the restaurants chosen by VIPs, especially in Beverly Hills and Bel Air areas. I have tried a few and for me the experience is worth the cost. Reservations required weeks in advance unless your name is Leonardo Di Caprio or similar, at Spago you can eat a very good Italian inspired meal. It’s a cool place the one where people go if they want to be seen so sneakers do not go well. Put it in your list for a real treat when in LA! Casual, minimalist, with a very basic menu and great prices. The jam is everywhere, the toast with the cottage cheese is phenomenal. 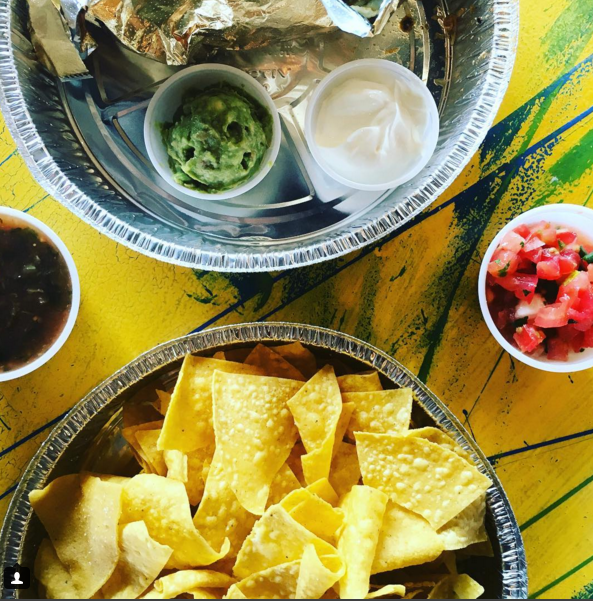 A patio, a menu that ranges from America to Italy without forgetting Mexico and high prices that are justified by the presence of selected ingredients. At The Ivy you will find different types of people and the famous LA fence which will protect you from the paparazzi (if you need them!). Seasonal ingredients and a dim sum menu are the keys at the Church where the bottomless mimosa and the eggs benedict are top notch! 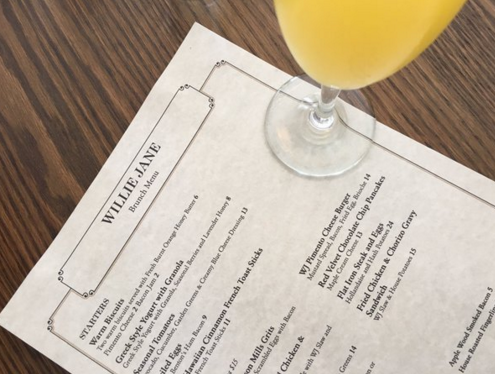 A bar, a restaurant, a place for brunch in Melrose where the main ingredients is olive oil from France, Spain and Italy. Grilled and smoked lamb is superb. 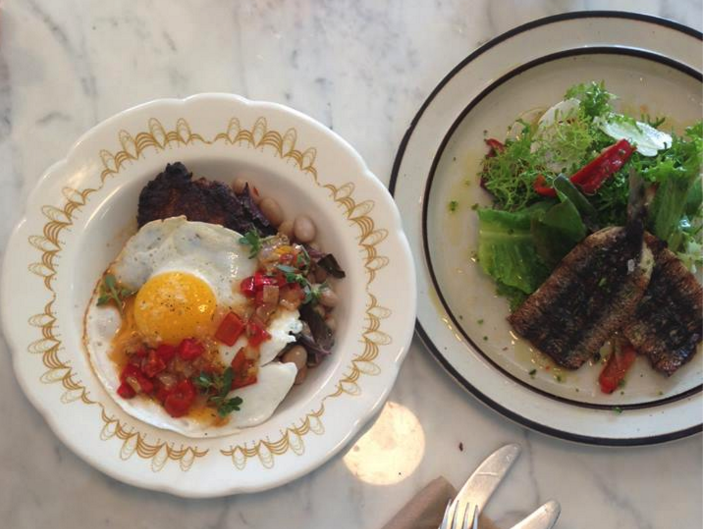 Brunch is an imperative in Los Angeles, not only for the weekend. 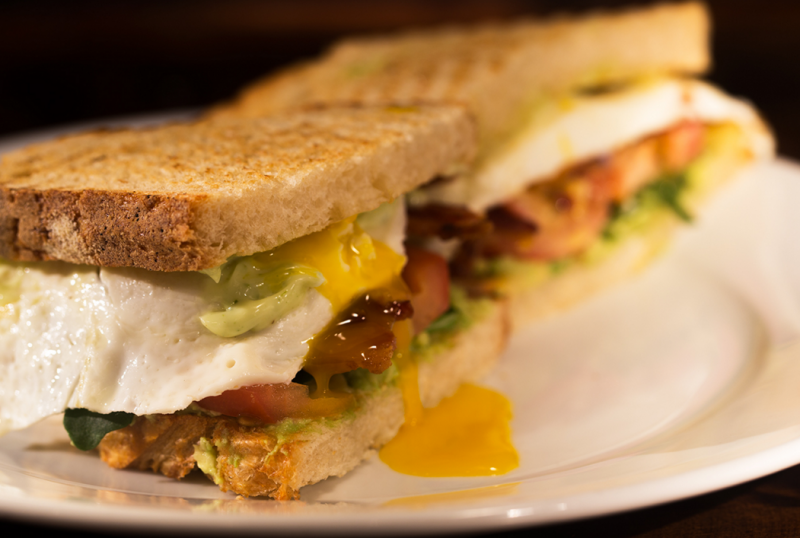 Everywhere you can have your brunch but there are places where brunch is simply better. These ones that I recommend. 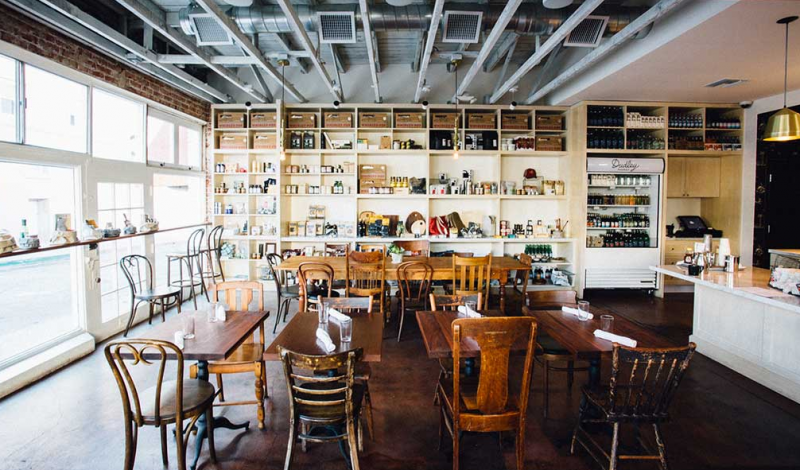 No changes to the menu at the Animal where you can have a proper LA brunch in a very stylish place. Difficult to find, the Animal is THE place at the moment. It’s in Venice and it opens at 8am during the week end to offer guests amazing pancakes with lemon curd and more. A space in Downtown LA where you can choose among a huge range of dishes. The devil eggs are simply to die for. A restaurant that caters for every single need (gluten free, vegan, veggie, etc) and where breakfast is the best meal of the day. 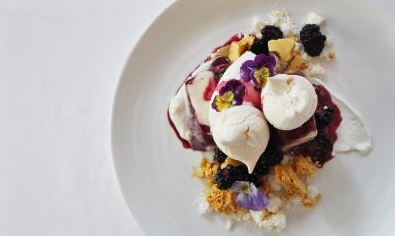 The pancakes and the “brunch carbonara” are not to be missed. A seafood based brunch to be served with a great and cheap Bloody Mary. Try the omelette with lobsters. It’s not the place from where the Netflix Flaked comes from but it truly represents Venice Beach. A simple menu with lots of sandwiches and cronuts, easy as Venice. I only tried one because I don’t eat pizza outside of Italy but this deserved the test. Test passed. Nancy Silverton with Mario Batali and Joe Bastianich is the owner of this Italian style pizzerie. 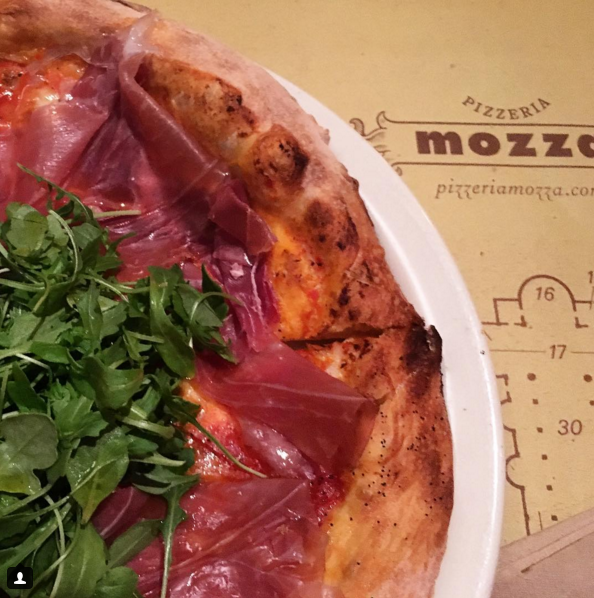 Pizza is not exactly like the one you eat in a traditional pizzeria but to be honest is really good. Booking needed. Burger and America, do you need more? 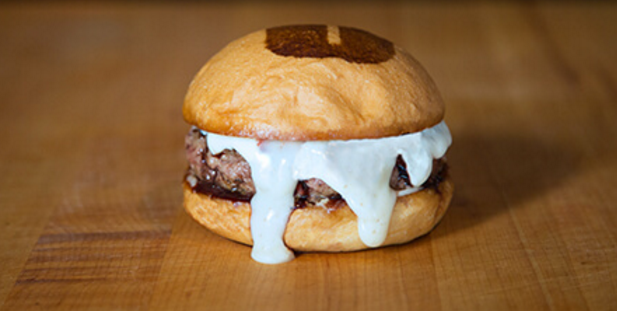 Not the classical burger but a list of gourmet ones, buns with a logo on top and garlic mayo to die for. It’s just egg put everywhere, also in the cheeseburger and the hamburger. Portions are gigantic. 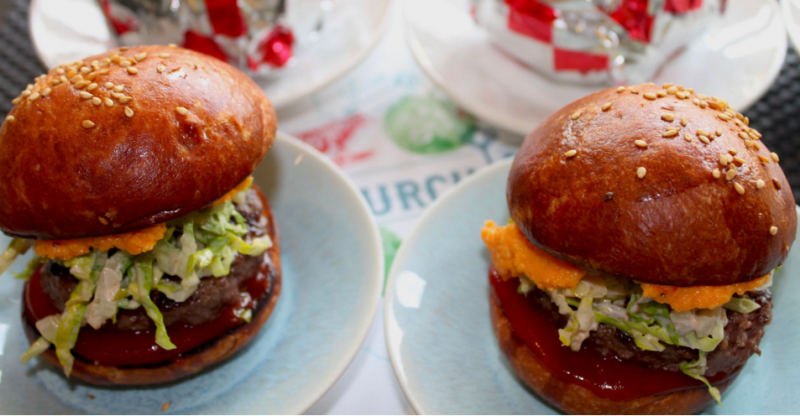 Three locations in Los Angeles where the burgers are combined with beers. There’s also a salad bar. 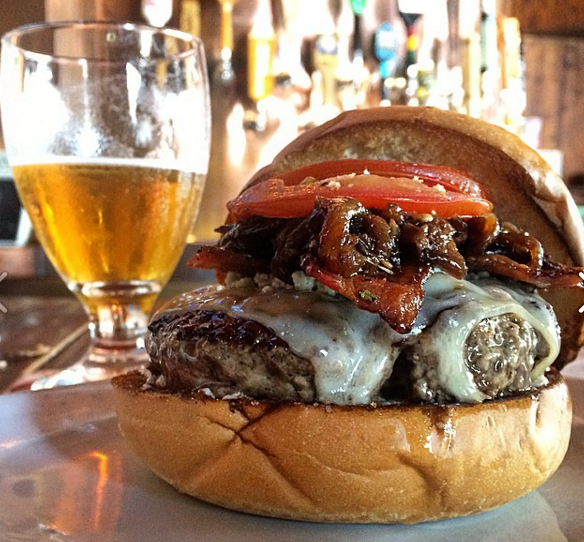 The Hook Burger is the only one on the menu and it’s very well accompanied by a Rhode Island Iced Tea. 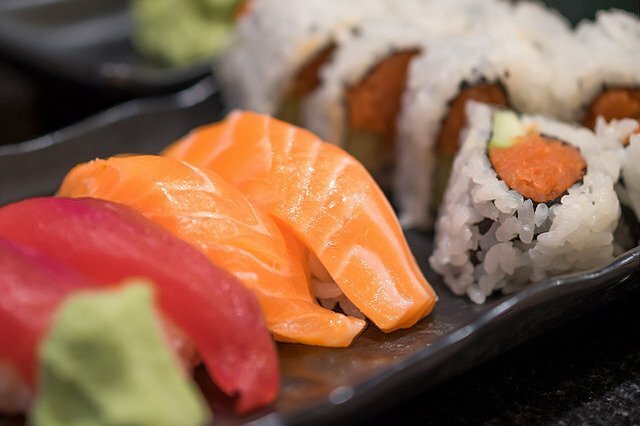 The sushi in Los Angeles is easy to find, quite expensive compared to European standards but often the chefs are actually Japanese and have lot of experience. The sushi in Los Angeles, for me, is always an experience to do. The sushi is expensive here but it’s authentic and it really makes you feel the difference between a good one and a bad one. It’s like Nozawa, even less fancy. 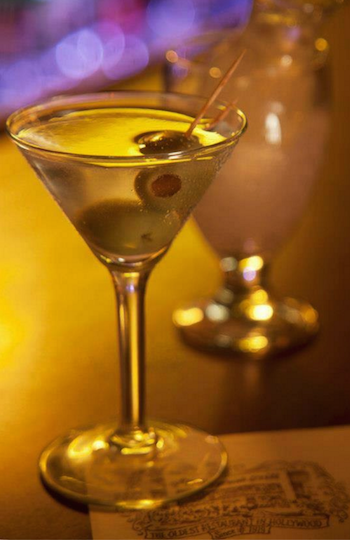 Delicious is the only thing possible to say. Sushi costs here as well, both at the bar and at the restaurant. Same as above. Quite cheap, Hama is located in a nice place, the restaurant is cozy (better than the other 3), sushi is awesome and the staff lovely. 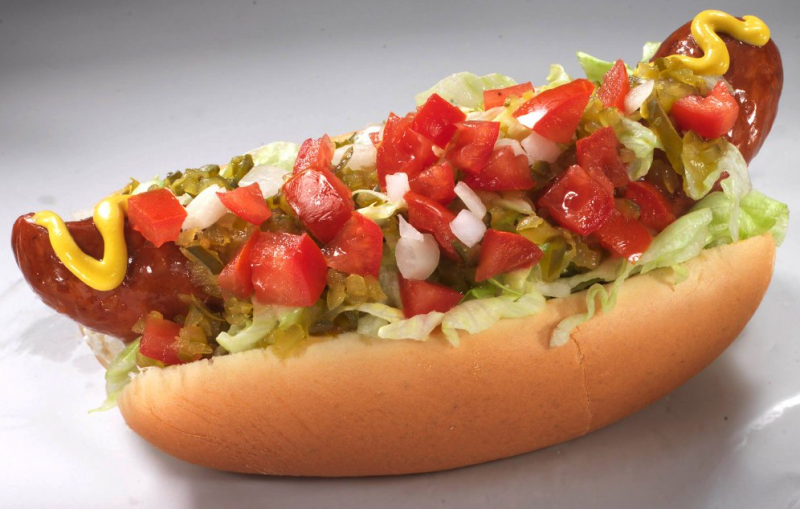 The Mexican cuisine is the predominant in Los Angeles to the point that after having been for years a cuisine to be discovered out today has become part of the local culture. Finding the best Mexican in LA is difficult but these are great starting points (IMHO). Famous and quite cheap, Gracias Madre offers great Mexican food in a relaxed space. Always crowded. 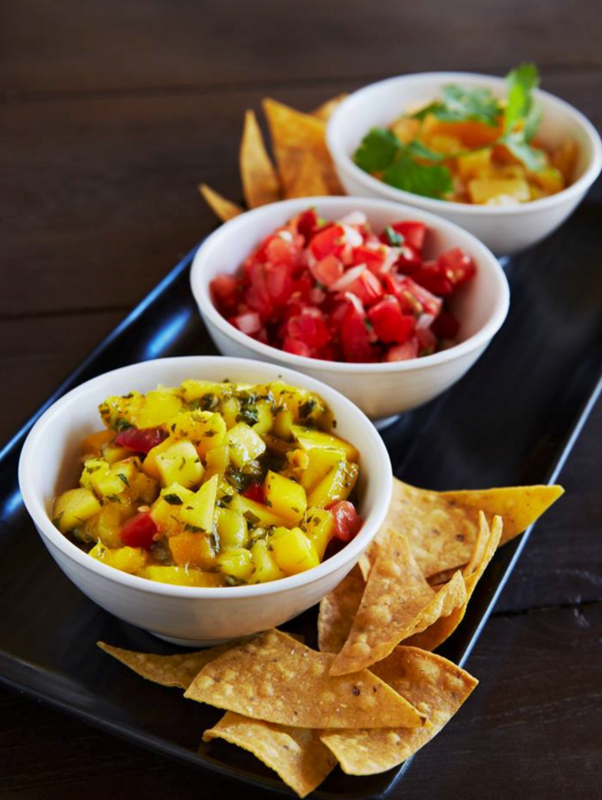 Comfort food, homemade Mexican food and great prices for LA. A Mexican place near the Walk of Fame that locals love. Everything is Mexican (the music as well) even if the bar looks like an American one. If I think about American cakes my mind goes to cupcakes. 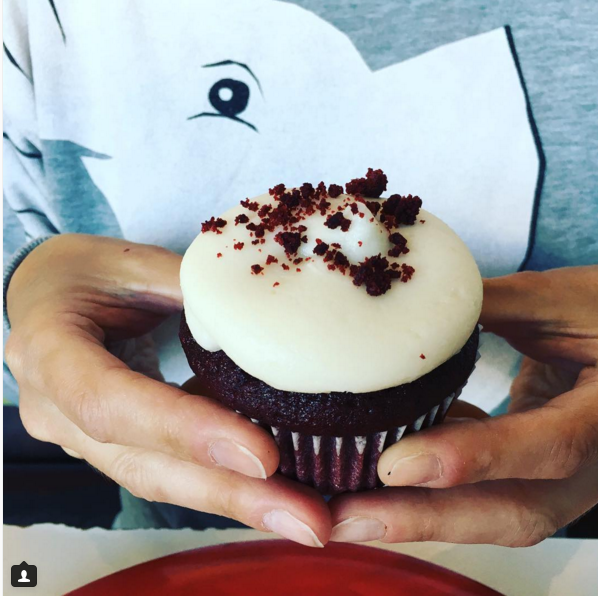 Here a few amazing places where you can have a proper cupcake in Los Angeles. 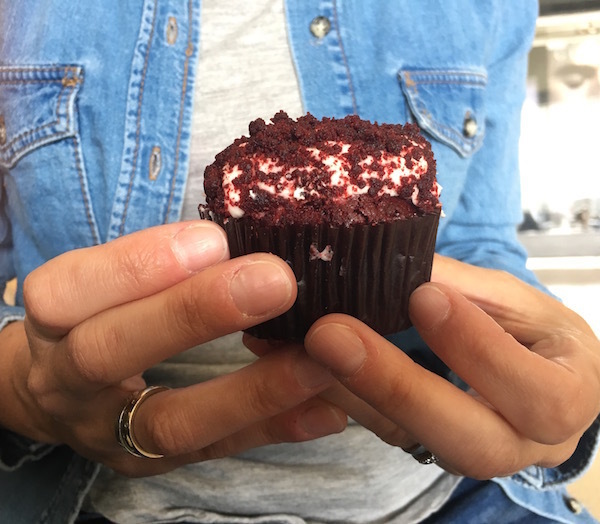 The best red velvet cupcake in LA with a strong coffee and a useful location in the middle of Hollywood. Sprinklers equals to quality and money. 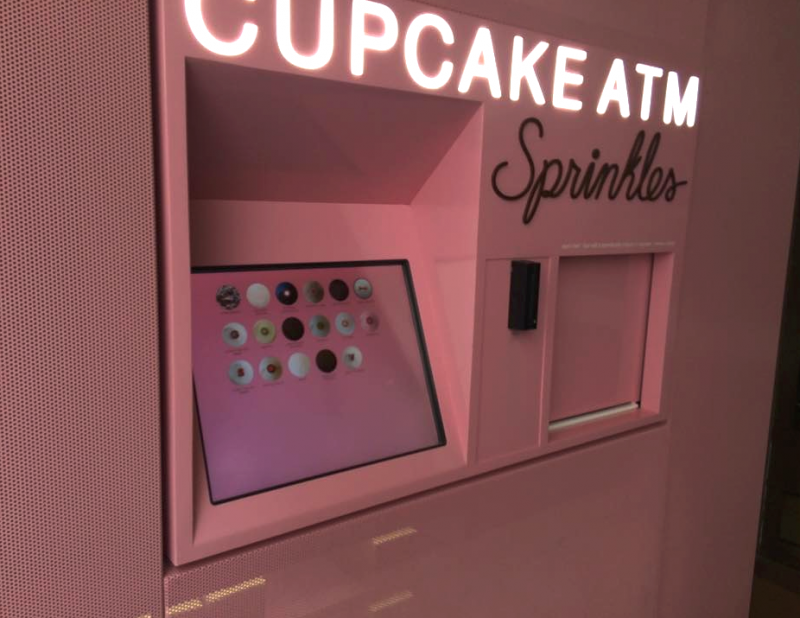 The cupcakes are expensive but they’re amazing and the cupcake ATM is one of the most famous attractions in LA. Probably less nice aesthetically, the cupcakes at the Vanilla Bake Shop are delicious and rich, ideal for a breakfast. 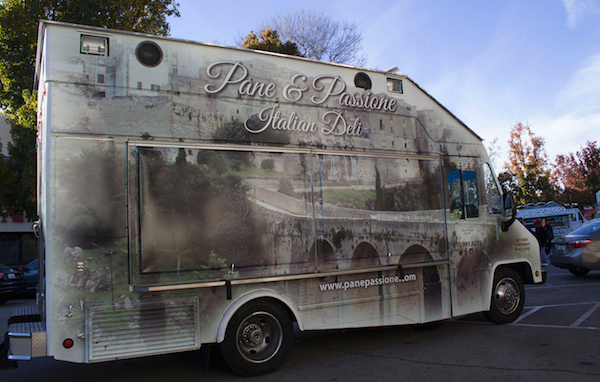 In the Sherman Oaks area, this lab is also food truck. The cake pops are amazing and everything is gigantic and great. 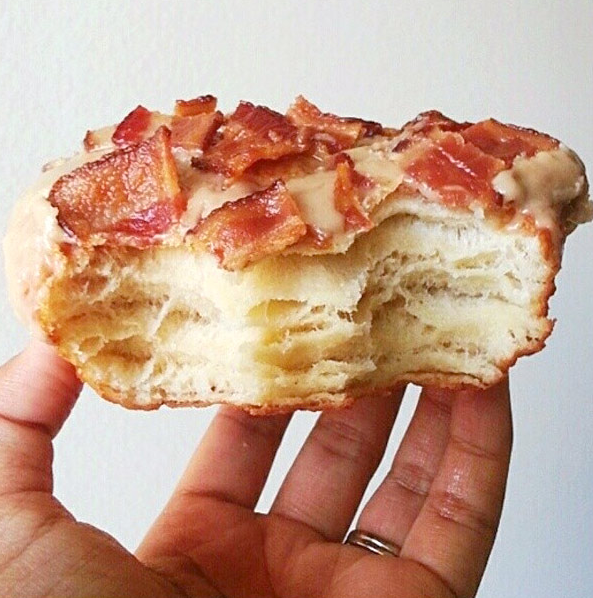 Homer has always been a smart guy and these places are some of the unmissable in Los Angeles for a first class donut. In this place I’ve eaten my first salty donuts and this is also they place I like to go the most when I want something sweet in LA. Opened 24/24 7/7, a happy suicide. Winchell’s bakes since ages and its vintage look makes this a place to try for good donuts, especially the glazed ones. 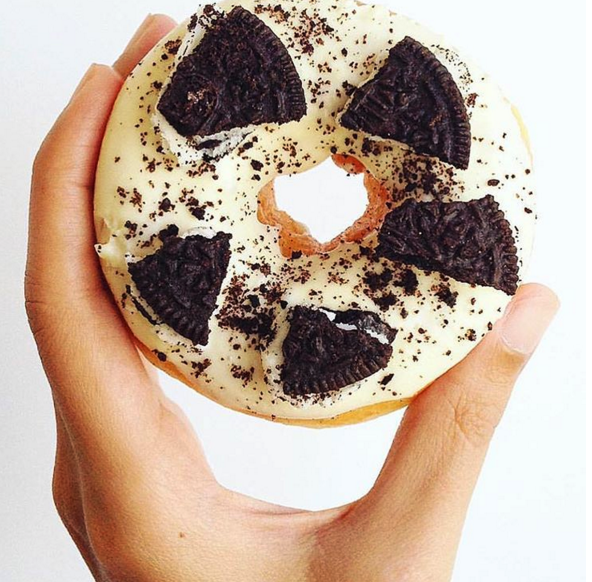 “Build your own donut” is the motto of this place where you can eat customized fried donuts. A lovely reality! One of the places to try absolutely in Los Angeles is Pink, an historic kiosk where you can eat amazing hot dogs. The place is cool, the queue is warranty of good food and you can also spot famous people eating here. This is definitely THE place! Not sure this is an unmissable place but it’s certainly an historic place right on the Walk of Fame. Food (highly expensive) is a mix between Europe and the US but the place is worth a visit for its vintage atmosphere and the Martini cocktail, considered one of the best in the world.